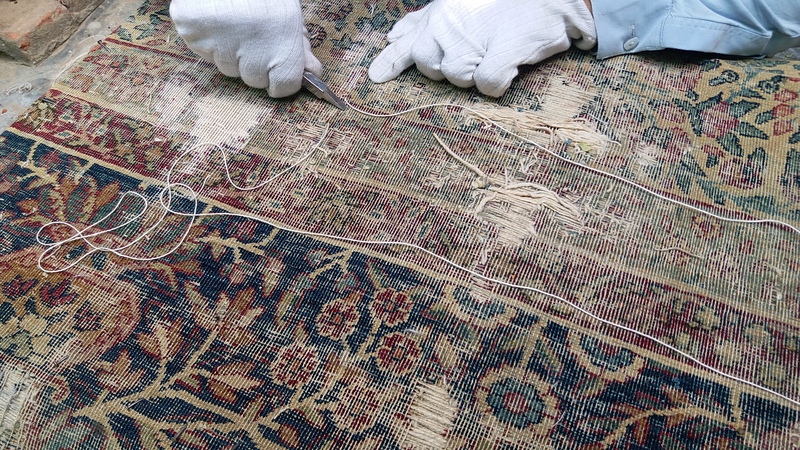 Repair & Restoration - Rug Company Inc.
We have staff of experts in rug repair and restoration. We can take care of minor conservation measures such as wrapping sides as well as complete restorations and re-weaving’s. We have extensive experience in repairing valuable rugs as well as your regular family rugs. The artisan who perform these repairs are highly skilled and use the finest materials. We guarantee all repairs and will provide you full quotes before Receiving the rugs. Bring your rugs in or call 973-439-9100 for our convenient pickup service.